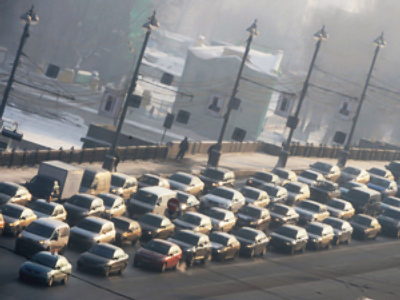 Changes in the Russian traffic police administrative regulations from now on forbid traffic policemen from hiding from drivers and in any way obscuring the official markings on their cars. It is now absolutely clearly defined in the code that a traffic policemen’s car must stay in a place where it will be visible to drivers so that they can abstain from breaking traffic rules. In addition, if the traffic police car with its markings and signal lights hidden, it will be a breach of regulations. As Russian traffic police department head Viktor Kiryanov has repeatedly said, the main aim of traffic policemen is to provide traffic security, not to catch lawbreakers, Rossiyskaya Gazeta daily notes. In the hours of darkness and in the condition of reduced visibility, traffic policemen must fulfill their duties on well-lit parts of the road and have an illuminated wand and high-visibility equipment. If the traffic police patrol does not have a car with special markings, they cannot stop drivers. Thus, they should either work together with another patrol, or leave the drivers be. 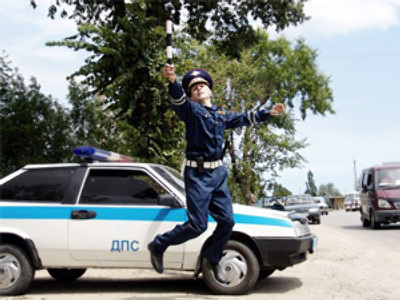 Before the changes were introduced, a Russian traffic policemen’s favourite trick has been to unexpectedly come out of hiding – either in the bushes or a badly-lit place on the road – and stop a driver for breaking traffic laws. The most peculiar detail is that the job instruction has long since spelled out the details of covert traffic police patrolling, but the document isn’t openly accessible – and some smart and unprincipled traffic policemen have used it in their own interests.